The 2017 baseball season is right around the corner, two months away. At Lane College, head coach Stanley Stubbs is entering his first year at the program, in what has been a tremendous off season coaching-wise for the Dragons. However, Stubbs is using the moment to connect with the community. Stubbs spend some time visiting South Florida to see his daughter who teaches in West Palm Beach, an HBCU alumnus of Bethune-Cookman University. Coach Stubbs not only coaches, recruits, builds and maintains the baseball program, he’s also has his team perform community service around the Jackson, Tennessee region to teach his players more than just baseball. 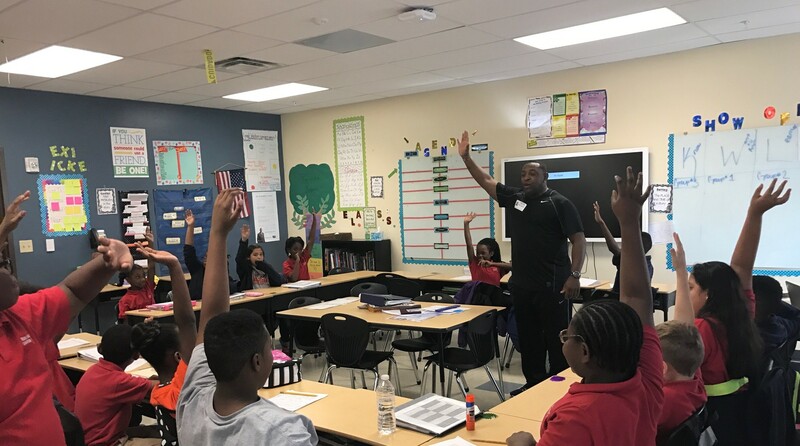 Stubbs, agreed to speak to the pupils at the Renaissance Charter School on the importance of an education, helping to better serve themselves and work towards dreams and goals. The Lane baseball team recently collected and donated 49 pounds of food to help stock the food bank pantries around the Jackson area. Lane opens the 2017 season at home against Eastern New Mexico University in a four game weekend series, February 3-5.